Want to know the secret to great tasting sushi rice? While wine doesn’t feature all that prominently in mainstream Japanese cuisine, it is a fundamental ingredient for perfectly cooked, traditional-style sushi rice. Often used to season dishes and stocks, Mirin is a rice wine not dissimilar to Sake – the exception being that it has a lower alcohol percentage, and contains far more sugar. Simply combined in a pan with vinegar and sugar, Mirin adds a pleasantly sweet, slightly acidic edge to sushi rice – and can even prevent it from disintegrating! Mirin has a great many more uses than as a mere seasoning for sushi rice. 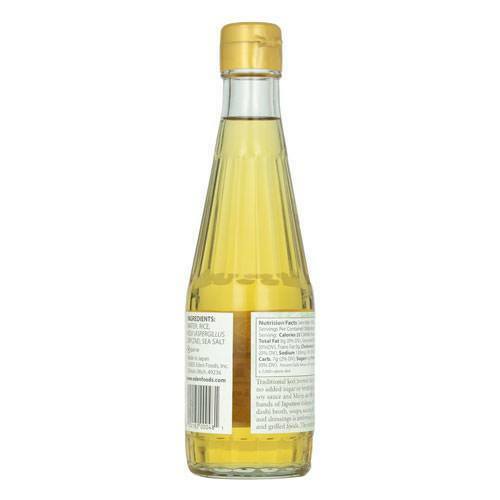 Known as the “left hand” of Japanese cooking, Ajino-haha’ Mirin Rice Cooking Wine is an essential component of Dashi stock, noodle broths and soups, Teriyaki sauce and countless marinades. It can also be used as a marinade in its own right when paired with the “right hand” of Japanese cooking – shoyu (Soy Sauce). Free from fat and cholesterol, Ajino-haha’ Mirin is a sweet, guilty pleasure you’ll find no end of uses for!